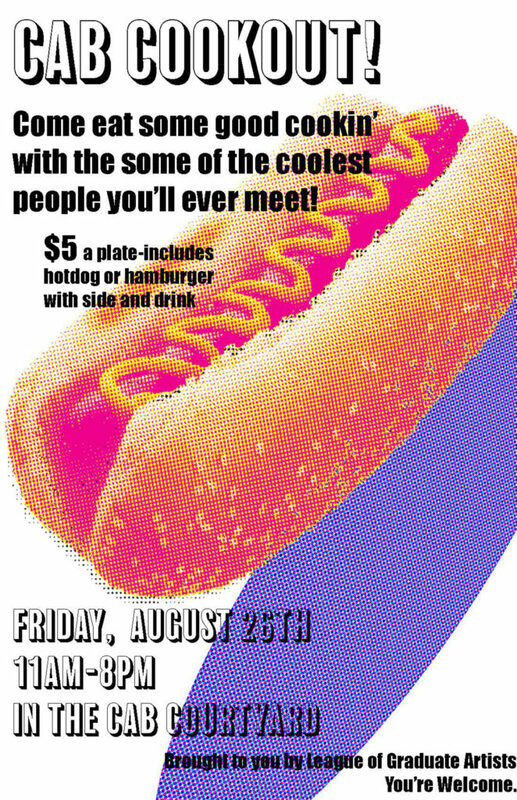 League of Graduate Artists is hosting a cookout at Carnaghi Arts Building for all of the Art department to attend! There will be hotdogs/hamburgers, various sides and drinks for $5 a plate. Join us for an awesome time, with awesome people and awesome food!! All proceeds will go towards funding the League of Graduate Artists.